Live out your dream in this 4,303 sq ft. ranch basement home w/ deeded boatslip. You will be astounded w/ the superior quality and attention to detail that can be found. 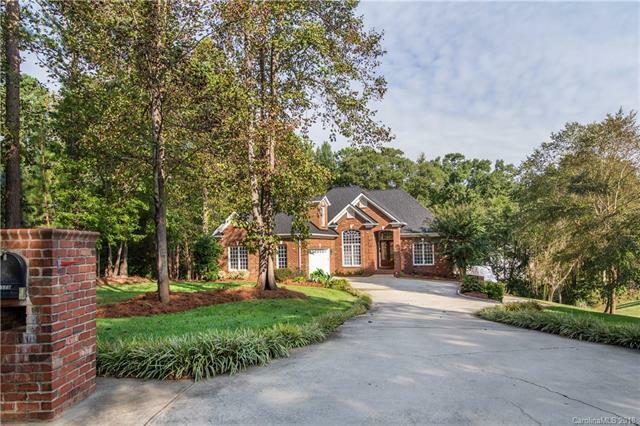 A most excellent home in Lake Norman's Tranquil Harbor community w/ plenty of room for entertaining both inside and out! Master bedroom is conveniently located on the main level, a lovely great room w/ custom mahogany mantle fireplace, split bedroom's w/ Jack & Jill bath. Check out the stairs leading above the 2 car garage, all plumbed and ready to finish for an additional bedroom or bonus room. Walk-out basement boasts a large entertainment area featuring projection screen and custom built-ins. This spacious lower level offers an office, map/hobby room, full bath, wet bar niche and plenty of storage space. Take advantage of the large garage shop w/ garage door for all your outdoor tools & toys. You'll love the freshly painted neutral colors, piece of mind of a new roof, and seller is providing a 1 year home warranty. Sold by Allen Hughes Realty, Inc.